To us here at Hire Fitness, quality and value for money go hand in hand. So to make certain that you feel you are getting both the best quality and the best value for money, we have implemented a price match promise. That means we'll match any quotes you receive from other fitness equipment hire companies, as long as it's like for like. 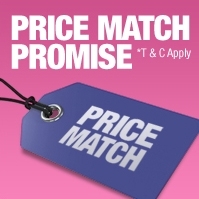 To take advantage of our price match promise, email us with a copy of the quote to at sales@hirefitness.co.uk or call us on 0800 97 88 555 and we will be more than happy to match the price. At Hire Fitness, we believe that great customer service is paramount and when matched with a first class product range and unbeatable prices, we think that's a recipe for success.We are extremely proud to say that our main focus as a company is on great customer service, a first class product range and unbeatable prices. We are highly confident that all our customers love their fitness equipment and are more than happy with the entire Hire Fitness experience. However, we are also happy to hear when customers are not entirely happy for any reason and welcome the opportunity to put things right. We provide regular servicing and maintenance on all our equipment to ensure it is delivered to you in first class condition, however, if something does go wrong at any time, please just give us a call and we will come and fix it at a time convenient to you or replace it with a new one if necessary. 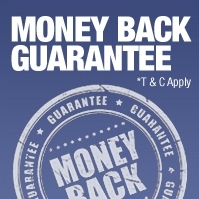 If for whatever reason you are not 100% happy with your equipment within 5 days of receiving it and we do not have a suitable alternative, we will happily provide a full refund. At Hire Fitness, we believe safety is imperative. We go way above the minimum standards set by the law and ensure we operate to the highest standard possible. All our fitness equipment technicians go through extensive initial and ongoing training throughout their time with us and all adhere to the strict procedures set out in our operating manual. We ensure all our technicians are fully qualified to test the electrical elements in all equipment. Before we hire out any of our equipment, it undergoes a gruelling 15 point pre-delivery inspection and service, to ensure that every possible point of safety and equipment performance is covered. To ensure you get the fastest and most professional delivery service we do not use couriers to deliver your equipment, we use our own network of local Hire Fitness franchises. After receiving your order we will call you and make sure to agree on a mutually convenient time to deliver the equipment directly to you. We always aim to deliver within 3 working days, however with the exception of rural areas or special delivery as these can sometimes take a little longer.